'Living in the future' • No longer just a home alarm service, Vivint wants houses to "intelligently respond, react and communicate." 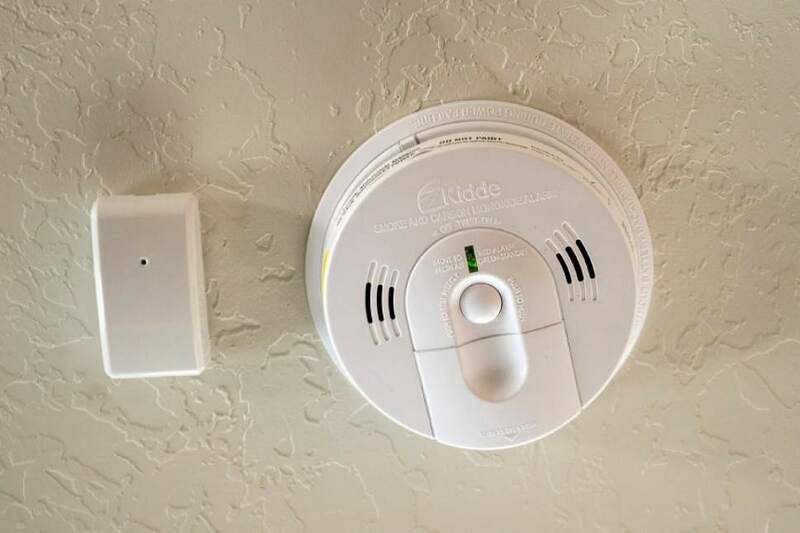 Chris Detrick | The Salt Lake Tribune Smoke and carbon monoxide detector in James and Aleisha McDaniel's Vivint Smart Home in South Jordan Thursday, June 8, 2017. Chris Detrick | The Salt Lake Tribune The Ping camera in James and Aleisha McDaniel's Vivint Smart Home in South Jordan Thursday, June 8, 2017. 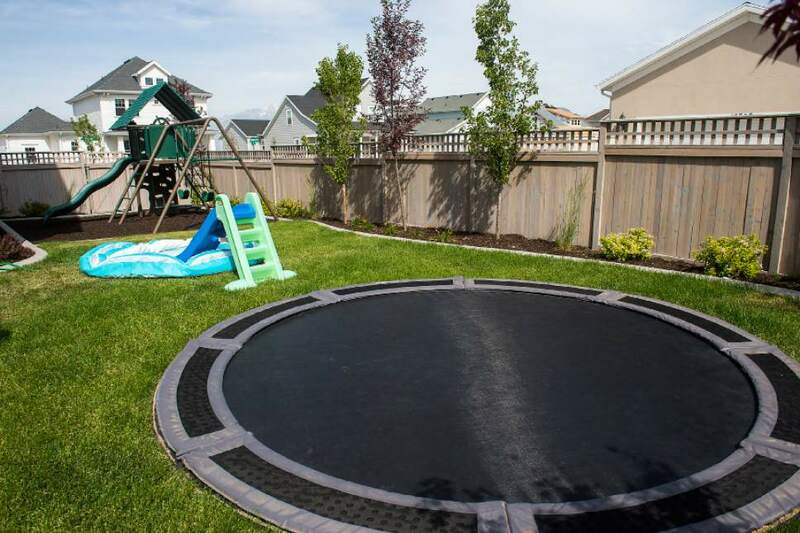 Chris Detrick | The Salt Lake Tribune A view of James and Aleisha McDaniel's backyard in South Jordan Thursday, June 8, 2017. 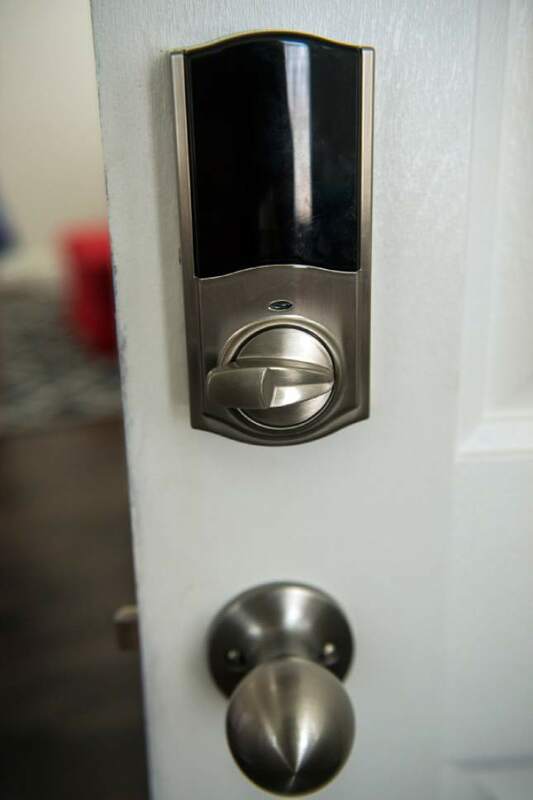 Chris Detrick | The Salt Lake Tribune The Smart Lock in James and Aleisha McDaniel's Vivint Smart Home in South Jordan Thursday, June 8, 2017. 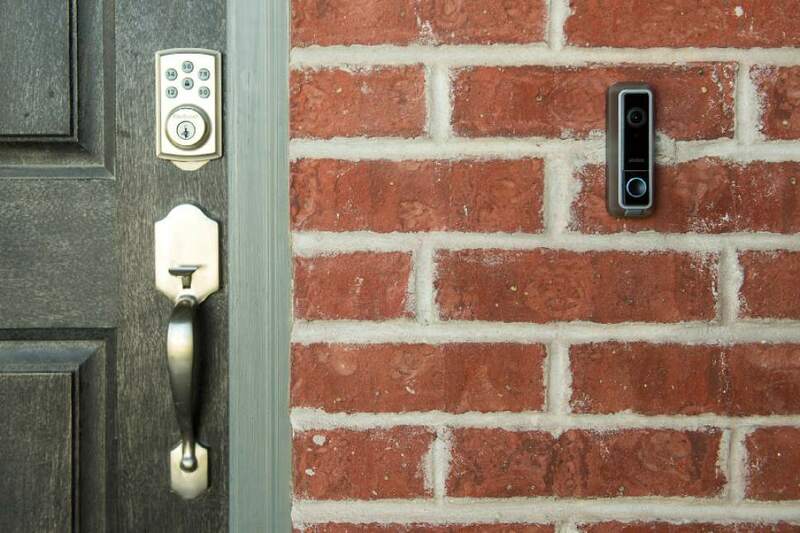 Chris Detrick | The Salt Lake Tribune The Smart Lock and doorbell camera on James and Aleisha McDaniel's Vivint Smart Home in South Jordan Thursday, June 8, 2017. 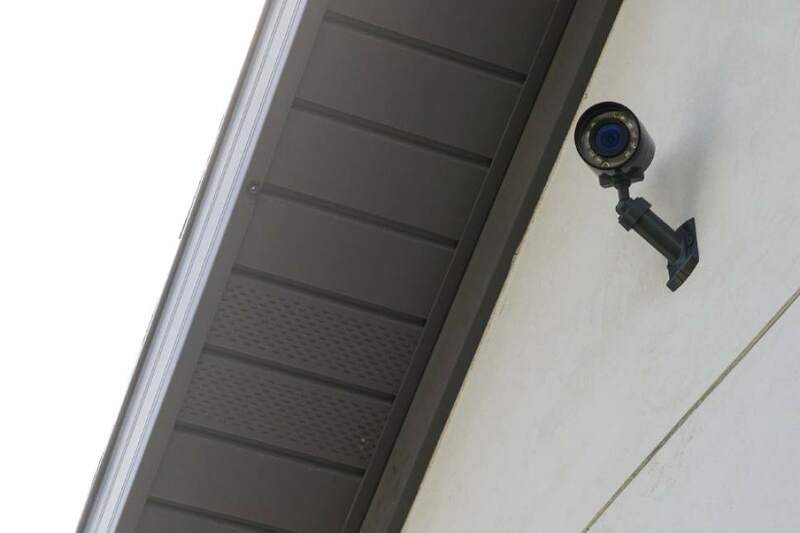 Chris Detrick | The Salt Lake Tribune An outdoor camera on James and Aleisha McDaniel's Vivint Smart Home in South Jordan Thursday, June 8, 2017. Chris Detrick | The Salt Lake Tribune James and Aleisha McDaniel's demonstrate the backyard camera on the SkyControl Panel in their Vivint Smart Home in South Jordan Thursday, June 8, 2017. Francisco Kjolseth | The Salt Lake Tribune Wes Hotchlass, UX Designer, Gavin Jensen, Design Manager, Janelle Seegmiller, Dir. 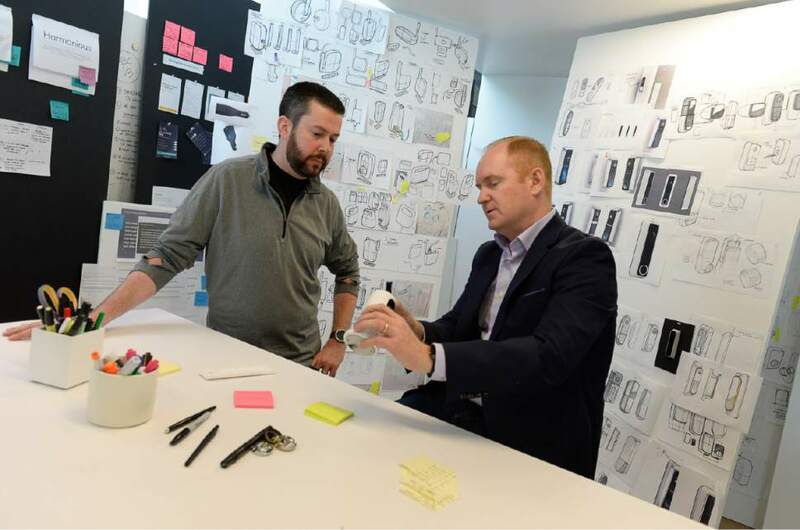 of Product Hardware and Clint Gordon-Carroll, VP of Cloud Storage, from left, collaborate on a project at the Vivint Innovations Center in Lehi recently. Francisco Kjolseth | The Salt Lake Tribune Jeremy Warren, left, Chief Tech Officer and Matt Eyring, Chief Strategy Innovations Officer for Vivint, discuss ways of shrinking a security camera in their industrial design lab at the Vivint Innovations Center in Lehi. Vivint Smart Home has turned itself into a tech company and focused on manufacturing its own smart home devices and developing software and services to sell to homeowners. It's in a race with tech giants like Apple, Google and other companies that also are trying to capture a big share of the growing market for such devices. 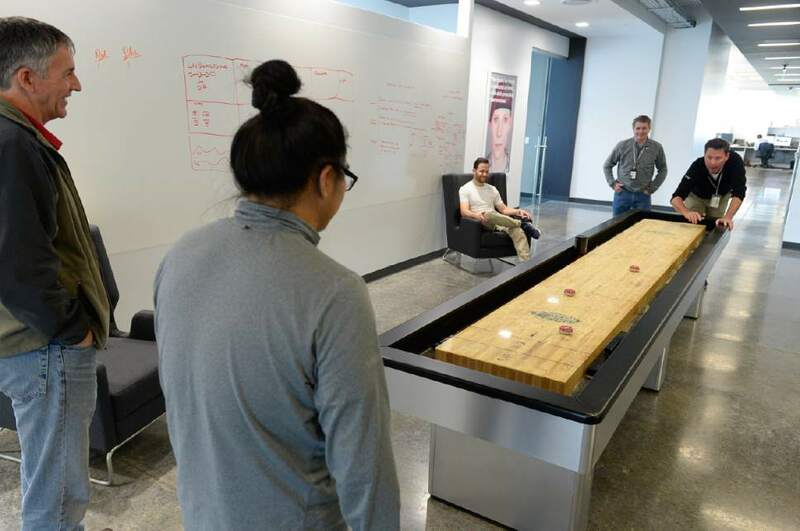 Francisco Kjolseth | The Salt Lake Tribune Staff at the Vivint Innovation Center in Lehi, unwind during their lunch break recently. Vivint Smart Home has turned itself into a tech company and focused on manufacturing its own smart home devices and developing software and services to sell to homeowners. It's in a race with tech giants like Apple, Google and other companies that also are trying to capture a big share of the growing market for such devices. 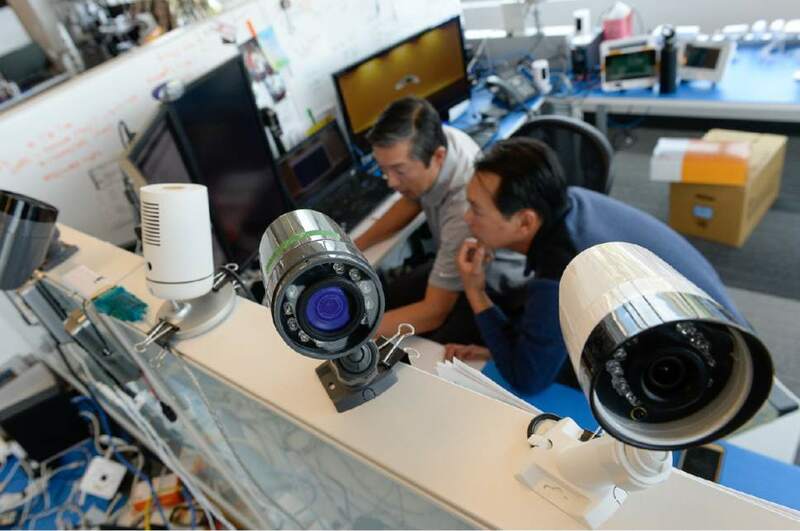 Francisco Kjolseth | The Salt Lake Tribune Craig Matsuura, left, director of invetted software and software engineer Johny Bui, continue their ongoing work on making surveillance cameras smaller and better at the Vivint Innovations Center in Lehi. Francisco Kjolseth | The Salt Lake Tribune Jeff Poole, DeOps Manager at the Vivint Innovations Center in Lehi, keeps busy during a recent shift. Vivian Smart Home has turned itself into a tech company and focused on manufacturing its own smart home devices and developing software and services to sell to homeowners. 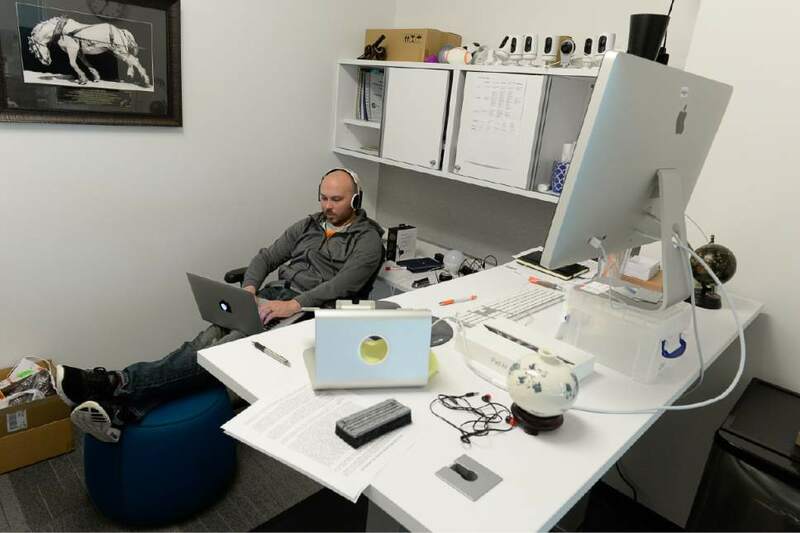 Francisco Kjolseth | The Salt Lake Tribune Mike Child, Director of Product Management at the Vivint Innovations Center in Lehi, envelops himself in a project recently. 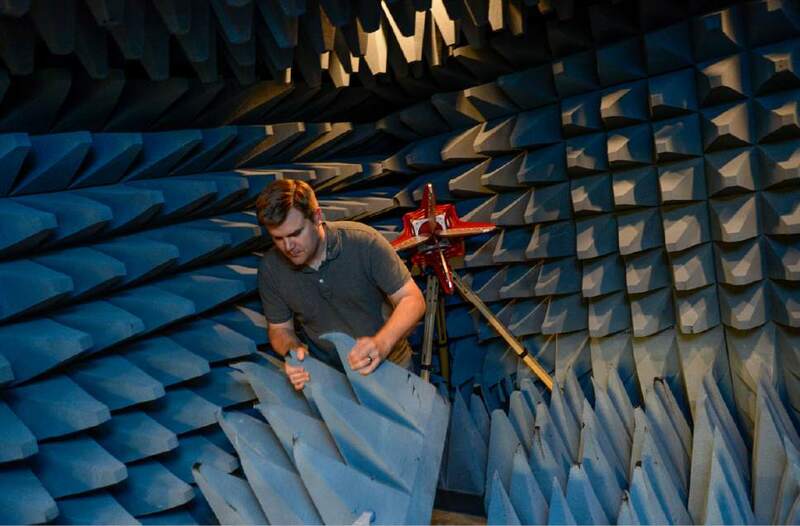 Francisco Kjolseth | The Salt Lake Tribune Jason Flint, Senior Software Engineer at the Vivint Innovations Center works in a sound-proof chamber where he performs wireless radio testing. Vivint Smart Home has turned itself into a tech company and focused on manufacturing its own smart home devices and developing software and services to sell to homeowners. It's in a race with tech giants like Apple, Google and other companies that also are trying to capture a big share of the growing market for such devices. Chris Detrick | The Salt Lake Tribune James and Aleisha McDaniel's demonstrate the doorbell camera on the SkyControl Panel in their Vivint Smart Home in South Jordan Thursday, June 8, 2017. Aleisha McDaniel says she just forgot, or her three kids distracted her. Either way, she recently drove off with her garage door still open. But as she moved away from her West Jordan home, it reminded her. "It notified me on my phone, &apos;Your large overhead garage is open.&apos; So I just tapped it and it closed for me." Two weeks ago, she and her husband, James, were in Philadelphia when the view from their doorbell camera showed the kids leaving with their grandmother. "I was able to see when they left, and once they left, I locked it," James McDaniel said. Living in a house equipped with Vivint Smart Home devices, they say, is like living in the future. In a new building at tech-centered Thanksgiving Point, Vivint&apos;s 400 or so employees at its Innovation Center are working to lead out in the so-called "internet of things"  the burgeoning market of networked devices to automate your home. And the company is looking to rapidly expand its workforce, hoping to fill 600 positions this year, including 200 engineers. From Vivint to Vivint Smart Home, the company formerly known as APX Alarm has reinvented itself as a technology player. It&apos;s developing the artificial intelligence capabilities that it sees as its leg up in the smart-home market, where your wired living space learns your habits, wants and needs and anticipates them even when you vary from routine. The effort already has landed the Utah company at the top of the heap, according to one survey. Strategy Analytics, a Boston-based consulting and market analysis firm, lists Vivint as the top smart-home service provider in the U.S. with 737,000 subscribers, followed by ADT Pulse at 692,000, AT&T at 308,000, Comcast at 280,000 and FrontPoint at 123,000. "When comparing companies that offer interactive security ...," said analyst Bill Ablondi, "I believe they are way ahead of others." Consider too: Vivint&apos;s nearly $200 million spike in revenue from 2014 to 2016, its landing at No. 22 on Fast Company&apos;s list of "World&apos;s 50 Most Innovative Companies," and its more than 18 million smart-home devices installed. 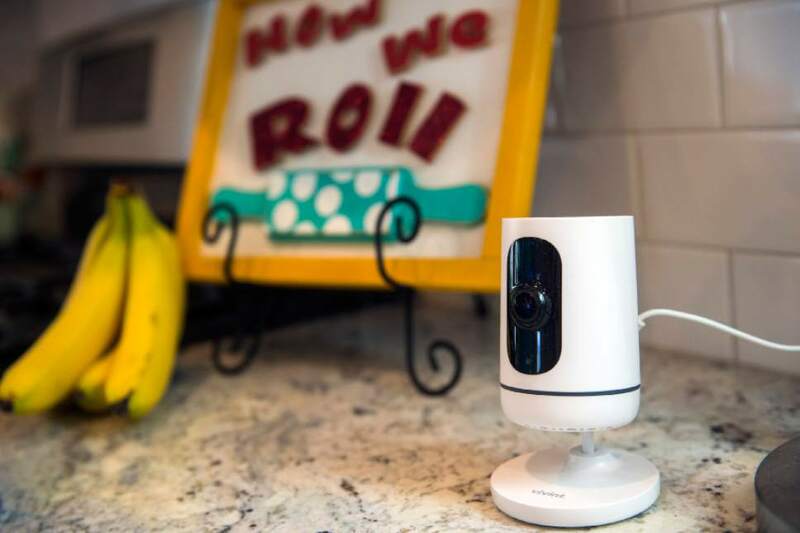 Homes that respond • Vivint Smart Home already sells indoor and outdoor cameras, sensors, smart thermostats, doorbell cameras, DVRs for live video and storage, and mobile apps for viewing and controlling things from afar. It also integrates its systems with smart locks, garage door openers and voice-controlled speakers like Amazon Echo and Google Home  "OK Google, tell Vivint to shut my garage door." 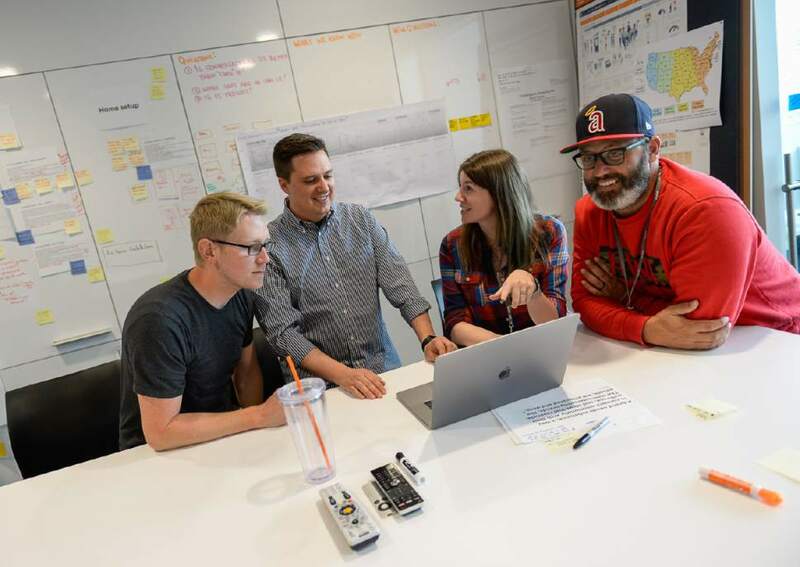 Inside Vivint&apos;s Innovation Center, 150 employees are working on tech tools for internal use and 250 employees are working in product development. There are rooms with sketches and models where teams of employees  35 percent of them are women  gather to brainstorm new designs and products and mock living spaces for testing. Those developing smart-home products, for example, suggested adding a button to an indoor camera that a kid can press and talk to a parent who is out of the house. A team building artificial intelligence software envisions it using data from devices to learn to operate a home in accord with both the rhythms of a family&apos;s life and breaks in routine. If you leave for work earlier than normal one day, the system might detect that and lock the door behind you or send you a text asking if it should. If a delivery person arrives with a package while a baby is asleep, the system might text the adult in the house instead of allowing the doorbell to ring and wake the baby. Such features will be possible through sensors that feed information on people&apos;s presence  or lack of it  and behavior patterns that are analyzed so the devices can react. "The most cutting edge ... is you&apos;re not going to do anything," said Matt Eyring, chief strategy and innovation officer. "People don&apos;t want to interact with an app. They don&apos;t want to tell their system to do something. They just want to live their lives and have their homes intelligently respond, react and communicate with them." Facing major competitors • The Innovation Center also has the usual groups of engineers in rooms with numerous computer screens  in one, a signal goes off and a light blinks on a giant screen every time a Vivint system is installed anywhere in the nation. Vivint&apos;s business model is like those of cellphone service providers. A consumer can buy Vivint&apos;s equipment outright and select a service plan, or charges can be added to finance the gear. Service plans include installation, repairs and monitoring of the equipment, all integrated and accessed by consumers via smartphone apps. Its strategic focus is to be "the company that provides the integrated offering to folks, with the no-trouble, no-hassle service that comes with it," Eyring said. APX Alarm Security Solutions Inc. changed its name in 2011 to Vivint, a combination of vive (to live) and intelligent, saying its mission was to help families "live intelligently." 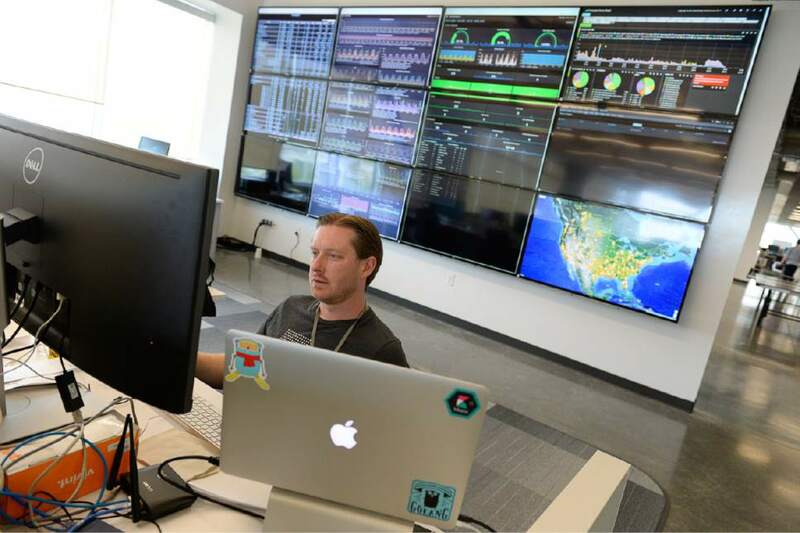 In 2015, as the phrase "internet of things"  a vision of dozens of connected devices, from cameras to thermostats to refrigerator sensors  became popular, the company bought sponsorship rights to what was then EnergySolutions Arena. The renamed Vivint Smart Home Arena was a play to brand the company&apos;s new focus through sports broadcasts nationwide. In entering the space, though, the Utah company has taken on major competitors; not just the likes of ADT, AT&T and Comcast, but Apple, Amazon and Google, which have through acquisitions and development also brought to market their own smart-home devices. And online and bricks-and-mortar stores like BestBuy are awash in self-installed, no-fees connected home products that you can dial up with your smartphone. Vivint recently announced its plans to compete in about 400 BestBuy stores nationwide by placing its sales people in its own in-store spaces in coming months. About 60 percent of Vivint&apos;s sales now come from its traditional sales model, which sends thousands of college students into the nation&apos;s streets during the summer to knock on doors, with the rest from consumers calling into the company. Eyring acknowledges the level of competition. But, he said, "For this time in this industry, at this stage of its evolution, we believe that this is the winning model. And the proof&apos;s going to be in the pudding, and you&apos;ll be able to see over the next couple of years how we&apos;re able to succeed." A focus on security • All these devices on the internet and in the airwaves, however, raise security concerns for some. Hackers already are using home computers and even devices like baby monitors to help them carry out cyberattacks. 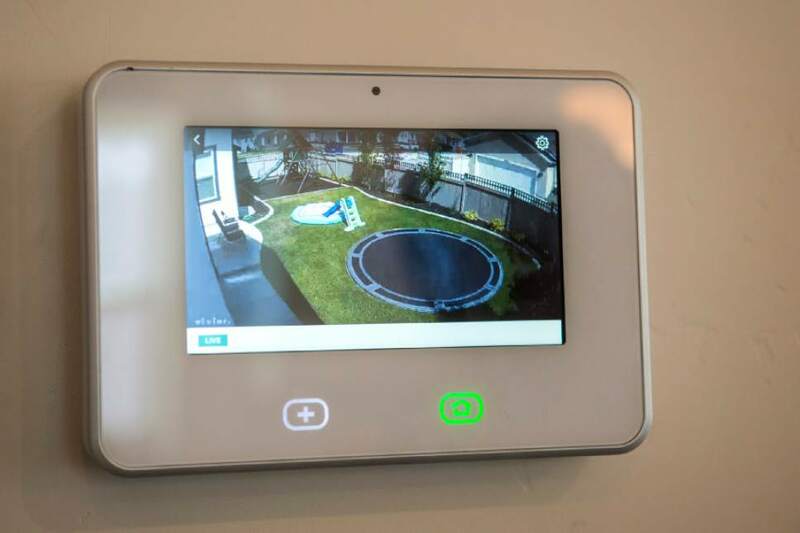 Jeremy Warren, Vivint Smart Home chief technology officer, said with connected devices expected to zoom to a trillion in the world within a few years, the ability to snoop on or hijack those devices is a top concern. Much of the problem, said Warren, a former chief technology officer for the Justice Department, comes from companies that sell cheap devices and don&apos;t worry about security and consumers who don&apos;t change the passwords after buying them. "We take great pains on the things we build because we are a service provider," Warren said. "If we have a reputation of not providing security, that will disappear. So we put lots of effort and focus into this." One of the McDaniels&apos; three children has autism and the family is receiving a year of free service through a Vivint charitable program. Aleisha McDaniel said a backyard camera helps her keep track of her son when the kids are playing outside. The McDaniels said they have thought about security risks and the chance that someone could take over their devices and cause mischief. But they said they believe the risks are minimal with their current setup, and the security the system provides is worth it. Besides, Aleisha McDaniel said, a smart home is fun. "I feel like I&apos;m in this future thing," she said. "It&apos;s just wild."